Hello explorers! Our 2019-2020 National Geographic Live series will be announced on March 26 at the final presentation in our 2018-2019 National Geographic Live series, On the Trail of Big Cats. There are no available events at this time. Join award-winning National Geographic photographer Steve Winter for a thrilling journey into the world of big cats. From trekking high in India’s Himalaya in search of rare snow leopards and stalking the elusive jaguar through Latin American jungles to chronicling the nocturnal activities of the “American lion” or cougar, this determined explorer ventures far and wide to come face to face with his subjects. This is no easy task. Since many big cat species are in danger of extinction, they have good reason to avoid humans. While these felines may be endangered, they're still wild, unpredictable creatures, and caution is required in their presence. Negotiating their habitats can be more dangerous still. Winter has been attacked by rhinos and gotten stuck in quicksand while working in the field. There have been lighter moments as well: mishaps with remote-controlled cameras, and waiting on a Southern California hillside to catch a shot of a cougar under the famous “Hollywood” sign. Throughout it all, Winter’s mission is to share the beauty of big cats while reinvigorating efforts to save them. One of Winter’s snow leopard images won him the BBC Wildlife Photographer of the Year award. 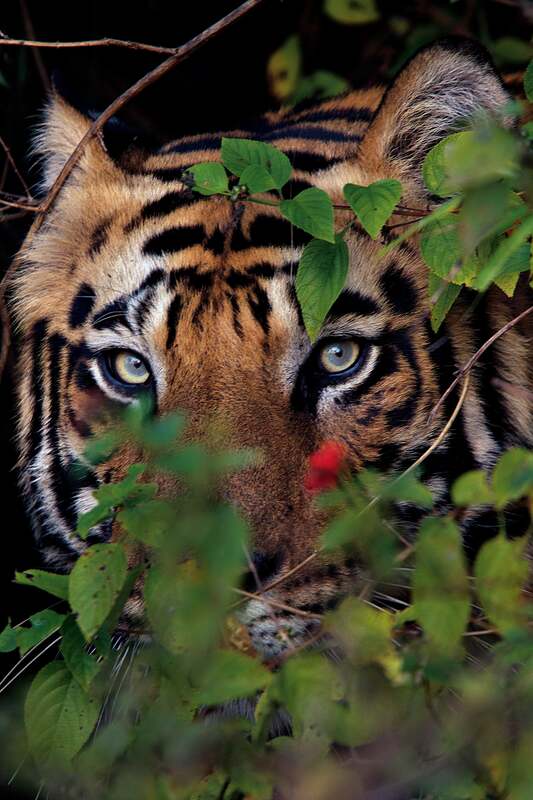 His decade-long project to document the world’s shrinking but resilient tiger species recently culminated in the stunning National Geographic Steve Winter, Photographer book, Tigers Forever, co-authored with Sharon Guynup. Spend an evening daringly close to tigers, snow leopards, jaguars, and cougars⎯through the unforgettable stories and images of Steve Winter. Each ticket to National Geographic Live includes admission to a pre-show party at Discovery Place Science. Enjoy interactive exhibits before finding your seat at McGlohon Theater for the evening's presentation. Limited time: save $5 on select seating for On the Trail of Big Cats!